Dom's Favorite Things is where magic and music come together to support and uplift the community. The holiday season is upon us and what better way to celebrate that than to GIVE BACK. This year we will be supporting the Douglas County Youth Center, Blackburn High School and Youth Emergency Services. With such worthy organizations to support the musical lineup MUST be equally amazing! Joining us this year for Dom's Favorite Things is pop artist and visual dynamo Madison Ray, the innovate and awe-inspiring Umoja Choir, Hip Hop powerhouse J Crum , the dominating divas of All Young Girls Are Machine Guns, the incomparable Tara Vaughn and headlined by Omaha Entertainment Arts Awards Artist of the Year nominee Dominique Morgan and The Experience. 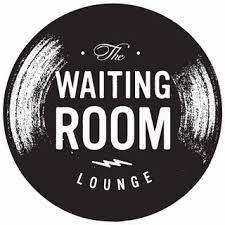 Sunday November 26, 2017 you need to be at the Waiting Room. Start your holiday season off right!